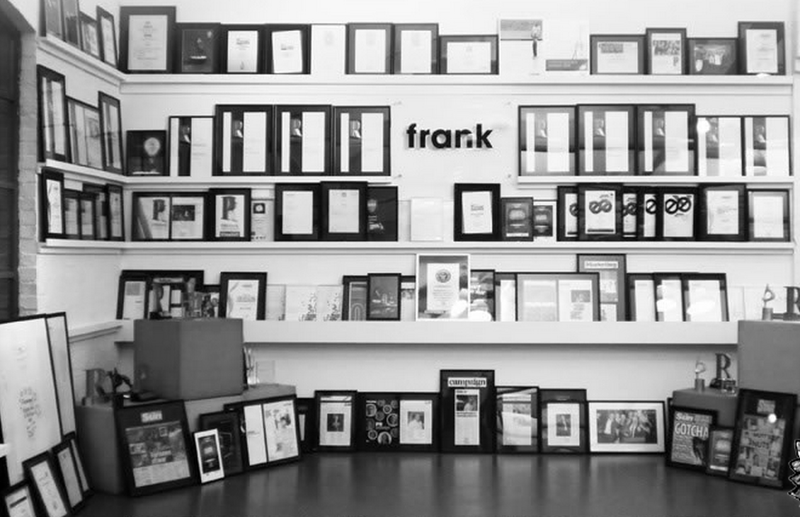 For the three weeks leading up to Easter, I had the privilege of working at Frank PR– one of the industry’s most decorated agencies. Famed for its unique way of doing things and extensive client list, Frank does exactly as its name suggests to create effective word-of-mouth campaigns – those with ‘Talkability’ – to achieve valuable results for clients, no matter the budget. From the moment I walked through the doors of its Camden office on my first day, I knew I was going to enjoy my time there and learn lots along the way. Having worked in PR for almost a year at Target PR, I’d already developed a good understanding of the industry and felt confident with my ability to meet the needs of clients. The team at Frank recognised this immediately and I soon felt like a valued member of the team, getting involved in various tasks from writing press releases and taking part in brainstorms, to pulling together media lists and selling-in to national and regional media outlets. Besides enhancing my skills in these areas, I was also able to learn about how the PR industry is changing. Of course, one of the greatest challenges for PR agencies is how to incorporate traditional media with social and digital platforms to deliver integrated campaigns. Working with clients such as Whitbread, Chemist Direct, Volvic, Thermos and MyVoucherCodes, I’ve been able to see how integrated campaigns which embrace social and digital can support the requirements of clients across various industries. As these avenues develop, it’s also crucial to be able to track the activity achieved through these different channels, and discovering a variety of services which enable this to be done effectively has been incredibly useful. But besides these core elements of PR, my time at Frank has taught me three things in particular. Whether it is the people in your team, the wider agency, journalists or the client, keeping everybody informed is a crucial element in establishing trust and forming relationships. As those relationships provide the basic foundation for success in PR, being honest with each stakeholder is a basic requirement. From updating team members with the progress of tasks and making yourself available to help colleagues, to working with journalists to ensure they have the materials they need and picking up the phone to tell a client about the coverage you’ve achieved for them. Simple things like this aren’t just easy to do, they also add to the effectiveness of work and lead to greater success. Following on directly from the importance of honesty and trust in building relationships, it’s also important to treat those around you as you would expect them to treat you. Respecting people’s time so as not to place unnecessary pressure on them, offering support when needed and getting to know people on a personal level are just a few ways of achieving this. As an agency which is renowned for doing things differently, Frank prides itself on nurturing talent, helping people to develop essential skills by forwarding them opportunities. As the most junior member of the team during my short time with Frank, I always felt as though I was treated with respect by all members of the team, no matter how senior their position. This approach meant I was always able to see the bigger picture and understand exactly how my work would contribute to the team’s effort to serve clients, leading to more fulfilling work. Finally, one of the most important aspects of achieving success – in any area of work, not just PR – is to have a positive mindset. While at Frank, I was fortunate enough to receive training from Andrew Bloch, as part of which he outlined the importance of knowing yourself. Acknowledging where your strengths lie, understanding where you’re able to add value and accepting when in the day you work best are all elements which help you to work effectively. This mindset also means that you’re able to distinguish between those tasks which are important (crucial to success) and those which are urgent (need to be done quickly, but not necessarily important), enabling you to plan your day in such a way which plays to your strengths and achieve greater success. Adam Jones studies Business Management at the University of Gloucestershire and is also an Account Assistant at Target PR. In the past five years, he has been involved with businesses in digital media, youth engagement and horticulture, developing passions for social enterprise, communications and marketing. To find out more about Adam, click here or follow him on Twitter.